A thoughtful landscape design can provide great comfort to customers considering an exterior project. Customers can confidently move forward knowing all options have been fully explored, all elements thoroughly evaluated, and that each solution is appropriate to the corresponding challenge. At Selena's Landscape,Design & Tree Service our design process helps to eliminate unforeseen surprises. Accurate hardscape dimensions, elevation requirements, grading and drainage solutions, and plant quantities are just a few of the items we carefully examine at the drawing table. The expense of landscaping makes it a long-term investment; an investment we take seriously. During our design process we often hear, “You know, I never thought of that.” has seen countless unique properties since 1988. Our decades of Selena's Landscape, Design & Tree Service experience allow us to formulate solutions, develop ideas, and offer suggestions that our customers may have never considered. Our in-house designers have been formally trained in the fields of Landscape Architecture and Horticulture. We love our job and formulating creative and unique ideas is at the center of that enjoyment. We are continually searching for new applications of common materials. Doing the “same old thing, the same old way” does not satisfy us. Every property is unique and therefore requires unique consideration. Selena's Landscape,Design & Tree Service hires superior landscapers and construction workers so that you get the better-quality results you deserve. Our landscape heritage dates back to the mid 1980s. Since our humble beginnings, Selena's Landscape,Design & Tree Service has come to deeply understand that Landscape Installation goes beyond simply “planting bushes.” We use the highest standard horticultural practices when installing landscapes. Planting beds are always properly amended with organic compost and tilled to create perfect growing conditions for new plantings. Our crewmembers understand how plants grow and not just how to get them in the ground. Attention to detail and an educated staff is what separates Selena's Landscape,Design & Tree Service from our competitors. What type of details do we look for? When selecting your plants, we make sure the specific environment agrees with the plant type. Selena's Landscape, Design & Tree Service carefully examines each plant’s need for sun and shade, drainage, soil type, surrounding plants, spacing and proximity to structures or pathways. By considering so many variables, we bring our passion for healthy vibrant landscapes from the pages of a contract right onto your property. When purchasing plants, we examine each plant for the following: density of the foliage, proper form, good color, vigorous health (disease and insect free), similarity of plants within each grouping, symmetrical branching structure and a strong central leader (when appropriate). When laying out plants, we make sure that they are spaced appropriately. When planting, we make sure that each plant is backfilled tightly. A landscape installation is a lifetime investment. Our customers benefit from our attention to detail as, over the years, their plantings reach healthy maturation. Let’s not forget the importance of transplanting services in landscape projects. Many believe that the large size of their trees and shrubs leave only the option of removal. Selena's Landscape,Design & Tree Service is able to transplant almost any plant or tree, saving you money. We have the expertise to transplant material that others see as impossible. Reusing existing plants creates a mature, ready-to-enjoy landscape from day one. 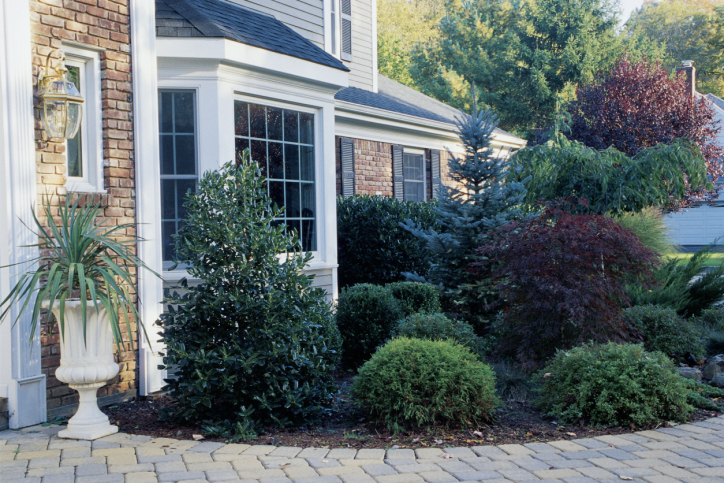 Think Your Credit History Will Stop You From Getting That New Landscape Design Going.